Have you ever ended up being dissatisfied after paying good money for a poor product? Or may be you had to deal with outrageous shipping and handling charges? Or, racked up 100s of dollars in expenditure related to an autoship program? In this case, you’re in a growing crowd. Millions of people share your pain. More consumers are shopping for products online than ever in the history. The majority of the products are not seen in person before someone makes a final purchase, which generally leaves them dissatisfied when they receive the product. In case of health supplements, the story is even worse. There are some things that you can do to make sure you are not only purchasing a quality product, but that you can return it if not completely satisfied. Browsing online consumer reviews will help you to assess if a product is worthy of investing in and if the organization behind the product is consumer-friendly. Are you aware that, based on the Fraud Watch Network‘s findings, “reports of consumer fraud have increased by over 60 percent since 2008, and online scams doubled from just over 20 percent of all fraud in 2007 to nearly 40 percent in 2011?” Actually, fraudsters rob more than $525 million from hardworking Americans each year. Obviously, ripping-off unsuspecting consumers seems to be a big business. We evaluate every product based on its ingredients and specific details. If it’s a health supplement, we find out if the supplement has itself undergone a clinical study or only its ingredients have gone through studies individually. (This sometimes is a huge difference). We list the Pros and Cons of the products. We take the aggregate reviews of the product from several places on the internet like the ecommerce websites eg. Amazon.com , Walmart.com, consumerreports.org, online forums, review websites by experts, personal experiences by experts and bloggers etc. Then we categorize the reviews under :- Expert review or User review. In the process, we try our best to weed out fake reviews, especially taking into account that certain marketplaces like Amazon are now flooded with fake reviews. Here is a guide on how to spot fake reviews on Amazon. After weeding out fake reviews, and taking into account the “Aggregate” ratings from different websites, we get our final review approved by experts like medical doctors and Finally we assign an overall rating to the product. Health supplements might seem like cutting-edge science, but they have already been available for centuries. From the sugar pills of Hahnemann, to the notorious snake oil salesmen of the early 1900’s, we’ve been adding to our diet with exotic-sounding supplements and products which offer to make amazing improvements to our lives. There are numerous supplements currently on the market. We counted much more than 20 distinct multivitamins alone at the local supermarket the other day, and there have been at least 10 other types of supplement to choose from. There was krill oil, which is apparently better than fish oil, promising to decrease inflammation, promote heart and brain health, and generally make my life better. There was blackcurrant concentrate, promising “pure and potent bioavailability” which sounds pretty damn cool. There were so many more. However, the latest studies show that many health products and supplements sold online might not work. And yet people are wasting billions of dollars every year on health supplements. It’s important to understand why supplements don’t work. It’s not that none of them have an effect on your health — many of them do. Iron supplements (to illustrate) have been proven to support women who are menstruating feel significantly less tired and work out more. You will find numerous conditions (many of them caused by malnutrition) where a health supplement could make you feel better, or even help you to be healed. But that isn’t what a supplement is whispering to you when you pick it up off the shelf. Most people don’t browse the aisle for the best pill to give to their HIV-infected 5 year old. Dietary supplements are sold to us all on the basis that they will improve our health, wellbeing, and ultimately our lives. The issue is when a handful of small studies demonstrate a small benefit for people taking a supplement, the industry begins pumping out the new miracle cure, along with a huge advertising strategy in their frequently poorly-regulated space. Doctors (and pharmaceutical companies) have an interest, and so much bigger studies are done which come back negative. 10 years later, and the evidence is forgotten because we all “know” that those fish oil tablets are good for us. And we spend billions each year on that false belief. We’re not telling you to stop taking your supplements. What we’re saying is one should access the potential of each health supplement through objective reviews. One of the best ways to get information and unbiased views is to turn to consumer reports or consumer reviews. Over the years you have seen many of these types of consumer reviews in magazines especially when it comes to cameras, computers, electronics or sports equipment. People offer up their opinions, good or bad, on the product that they bought and you can sift through these to find the pros and cons of the items you’re shopping for. If you can’t find the reviews you need in a magazine or a newspaper there are a number of web sites that can be helpful on the Internet. Websites like Consumerreports.org or e-commerce sites like Amazon allow people to post their reviews or opinions on products for people like you and me to read and to use in evaluating a product we are about to buy. And before you take anything, see a doctor. That’s what they’re there for, after all. It doesn’t do you any good to have a product with all the bells and whistles that you need and you can’t get reliable service when it breaks down in the first week. In some cases you may find hundreds of reviews on a particular product and you want to scan through all of those reviews to make sure that the product that rates four out of five stars doesn’t have a major flaw that pops up every so often for a consumer. You want to know what happens when that problem does pop up and how the manufacturer responds to it. If the consumer has to jump through hoops to get a problem rectified do you really want to take the chance with that product? At GroundnPound, we try to provide an aggregate rating of the product generated from several consumer reviews which can help you to make a proper buying decision. Our reviews and reports can save you a whole lot of time and money if you use them wisely. And once you do make a purchase, be sure to return to the website that helped you out with consumer reviews and add your own personal reviews and viewpoints on the product to help out other consumers to make wise buying decisions. Dr. Ben is the Senior Medical Reviewer of GroundnPound.org. Thanks to his experience as an emergency physician, Dr. Ben offers our site a unique expertise in any health related subject. His very particular working environment allows him to be confronted with a very wide variety of cases. Indeed, given these working circumstances, he shares with us a unique experience in the medical field (concerning pathologies and their treatment) as well as in other fields related to this environment (like the management of energy, stress, emotions and other aspects of psychology). Before fully devoting himself to the medical career, Dr. Ben was also a tennis player with several regional and national competitions at his palmares. He graduated as tennis coach in 2015. Dr. Ben is also a travel and fitness fan. He is an adept of the doctrine that a healthy lifestyle is the basis for good health, and he believes that conveying this belief to his patients is much more beneficial to them than just dealing with their physical issues. 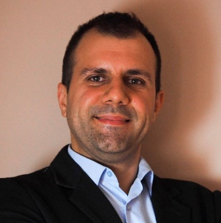 Dr. Aleksandar Grbovic is a medical doctor, with extensive experience in and specialized in CVS and diabetes drugs. He has been a faculty of medicine for 8 years at Belgrade University. He has been associated with Institute of Occupational medicine “Serbian Railways”. This Institute was founded by Serbian Railways Company 130 years ago. Although they still provide specific medical services to rail personnel, Institute is nowadays a primary care medical facility responsible for more than 100.000 patients all over Serbia (approximately 50.000 patients in Belgrade branch). 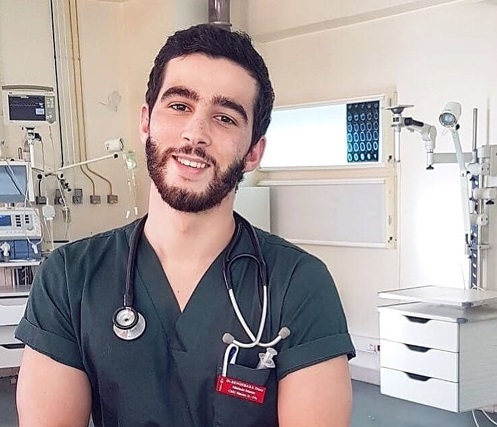 Also he attended attending Radiology residency and working on a project of preparing educational materials for the Internal Medicine board exams in the US as well as for the USMLE step 1 and 2. For more than a year, he is also working as a freelance medical writer. Most of his articles are for lay people (by September 2018 he wrote 250 articles). Also as a medical writer, he has only one goal in his mind – to bridge the gap between doctors and patients point of view by breaking down complex medical topics and presenting them in lay people language. Also knowing that his writing might help someone out there connect the dots is what gives him motivation. This is the link to his CV.